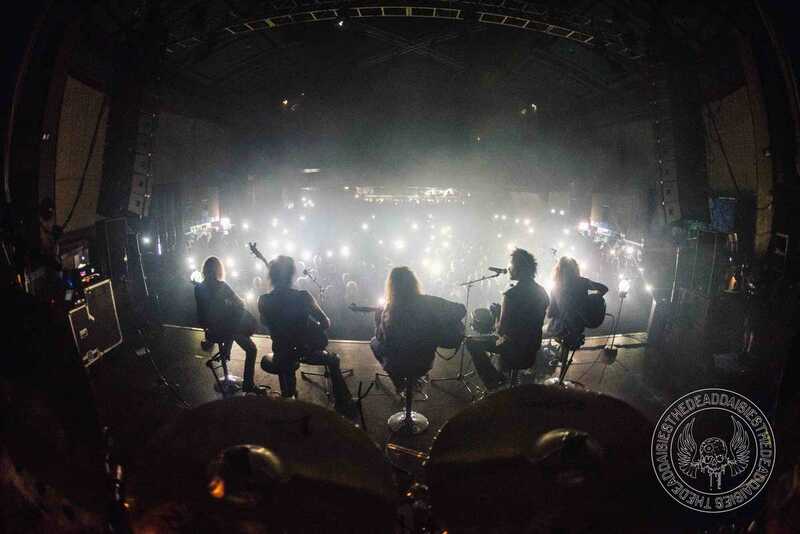 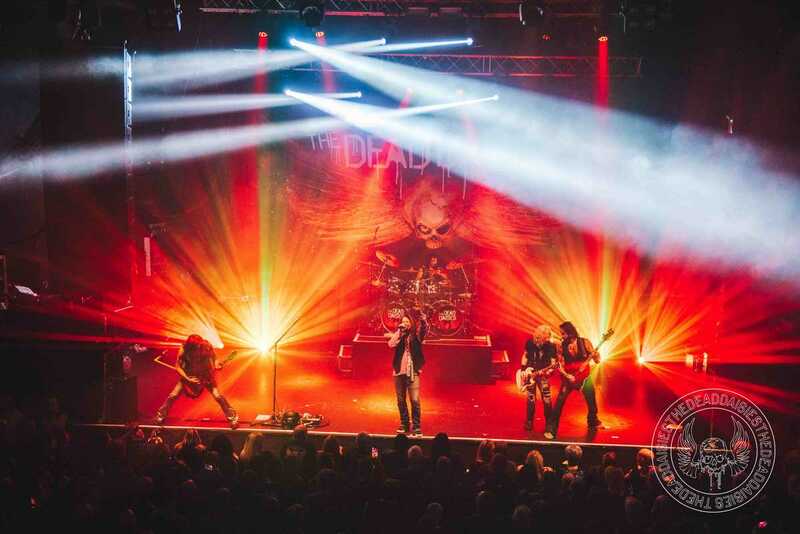 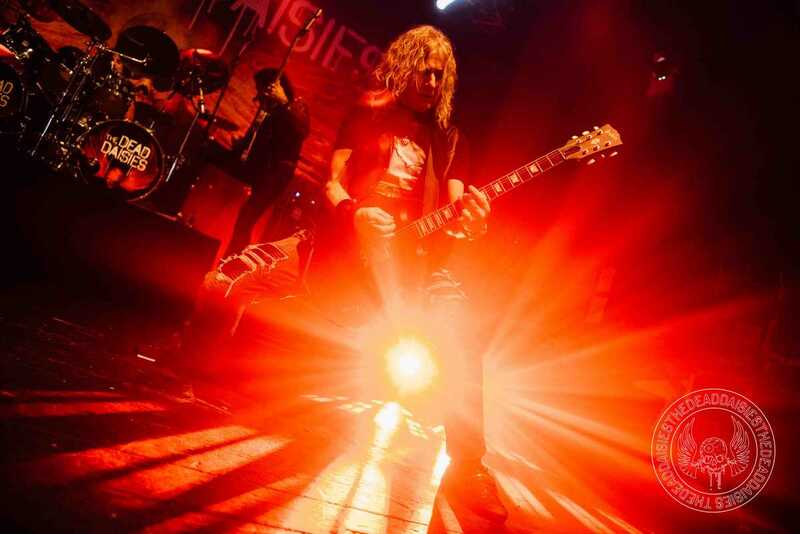 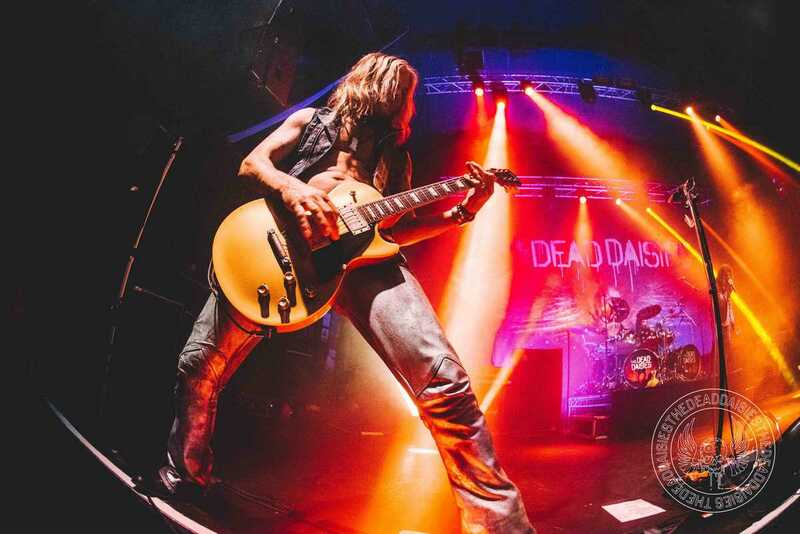 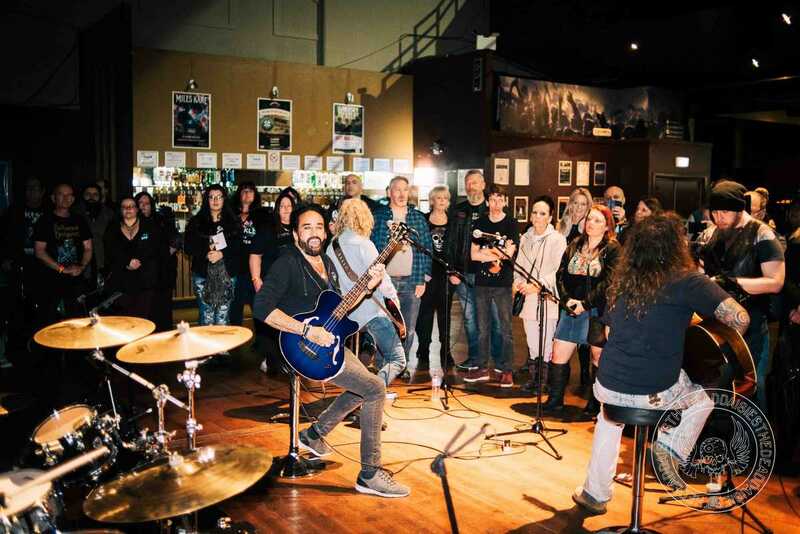 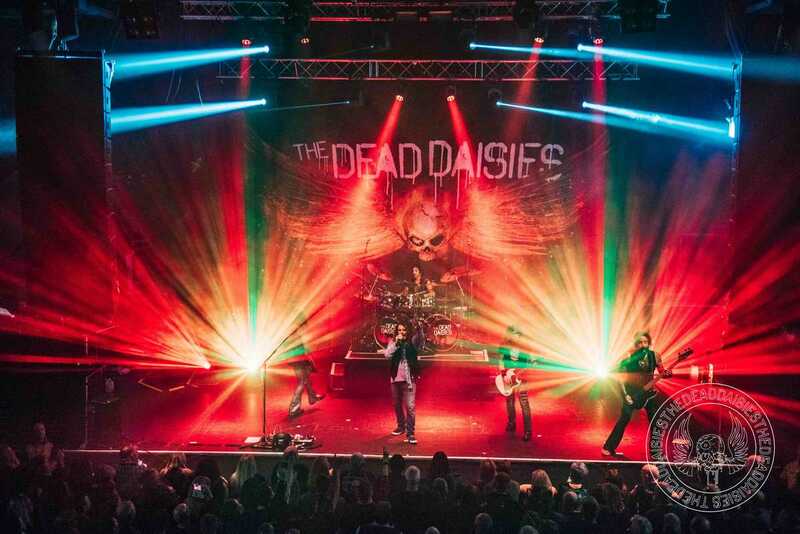 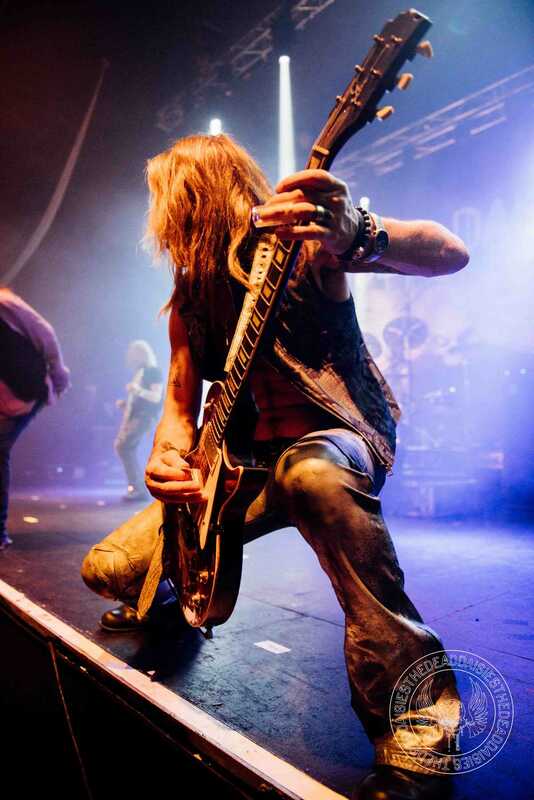 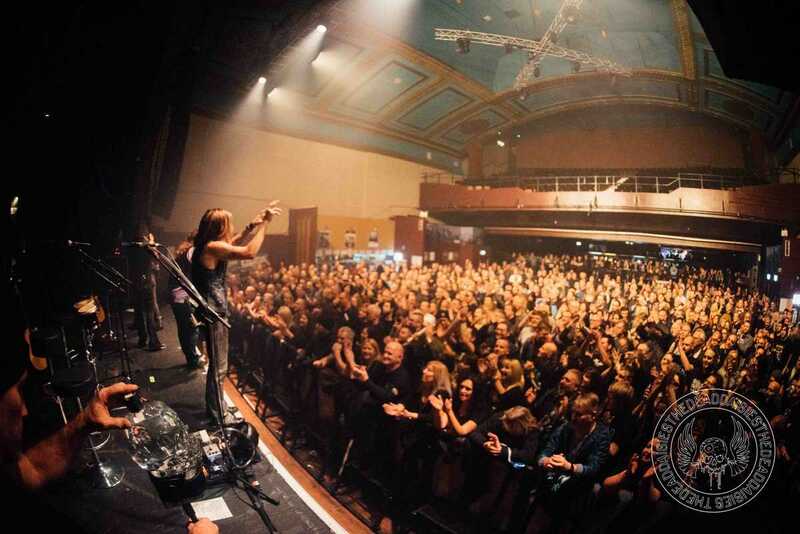 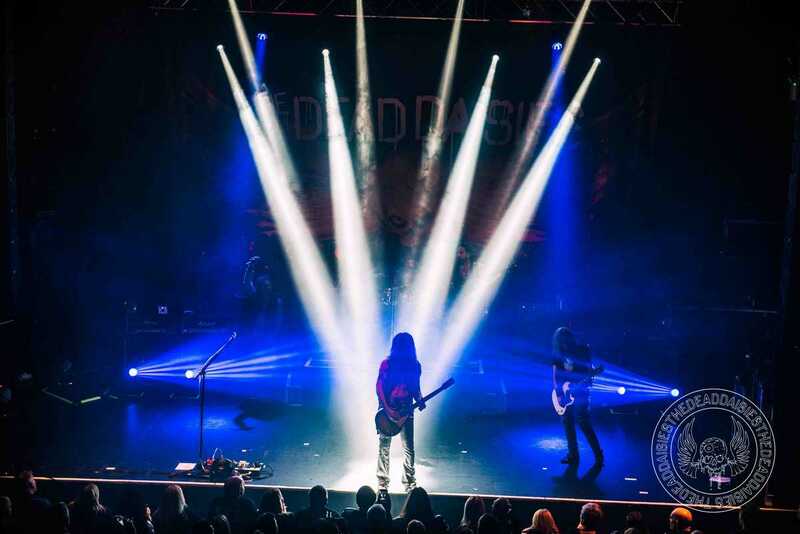 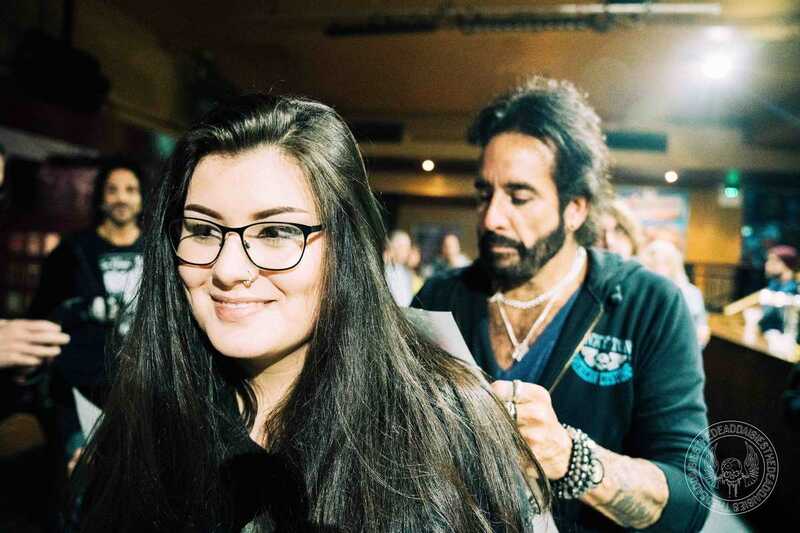 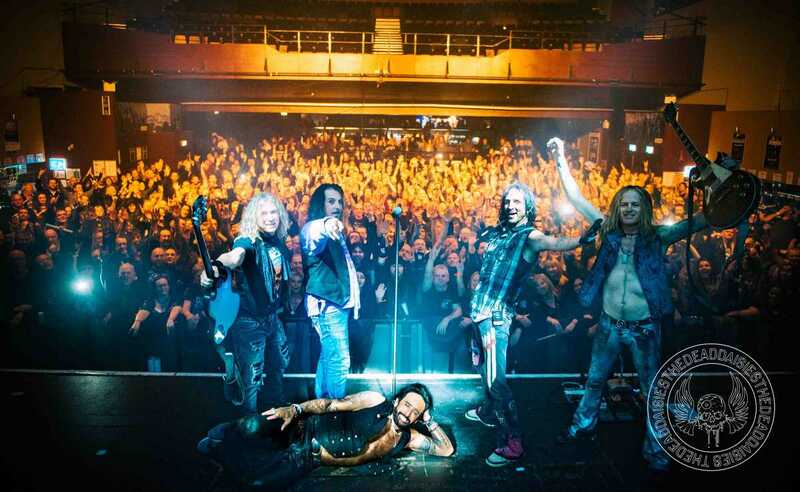 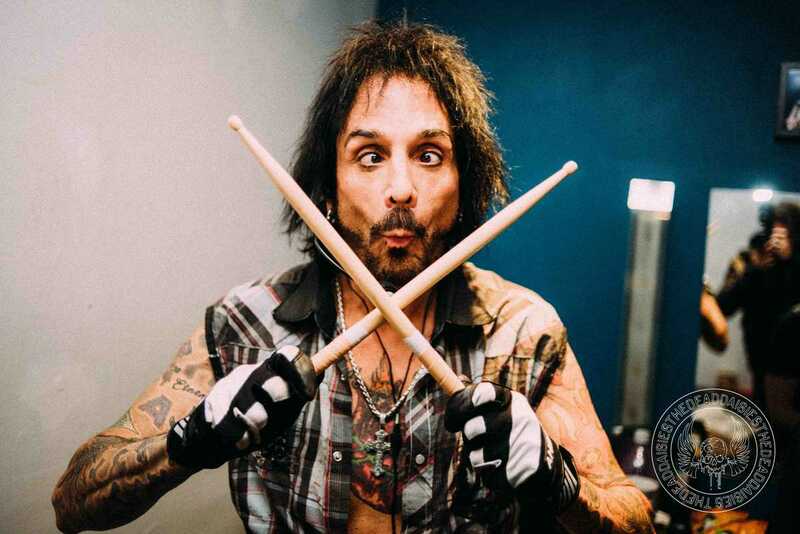 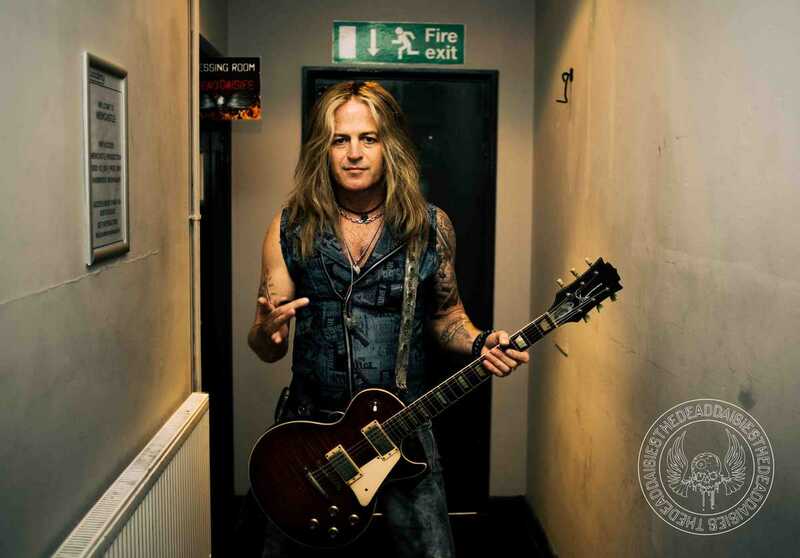 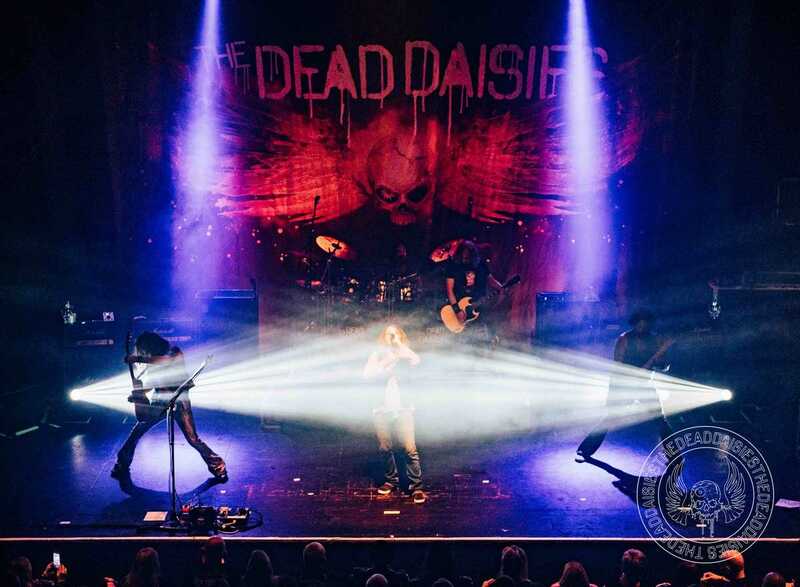 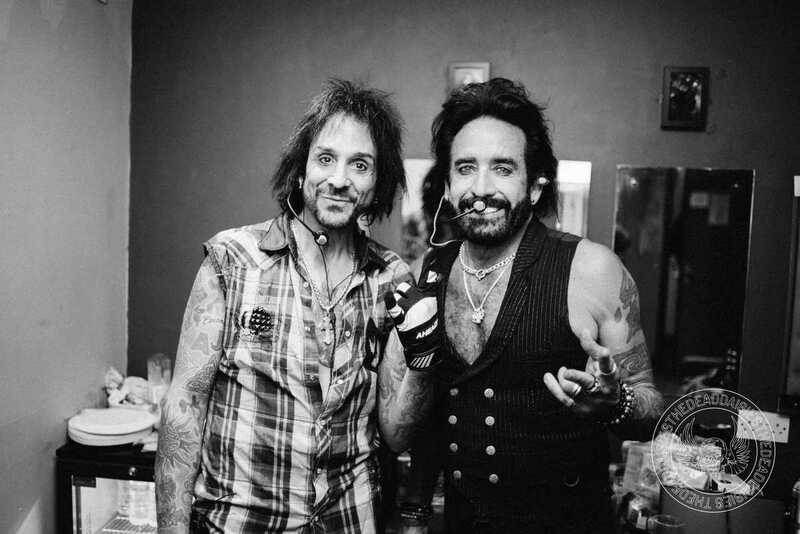 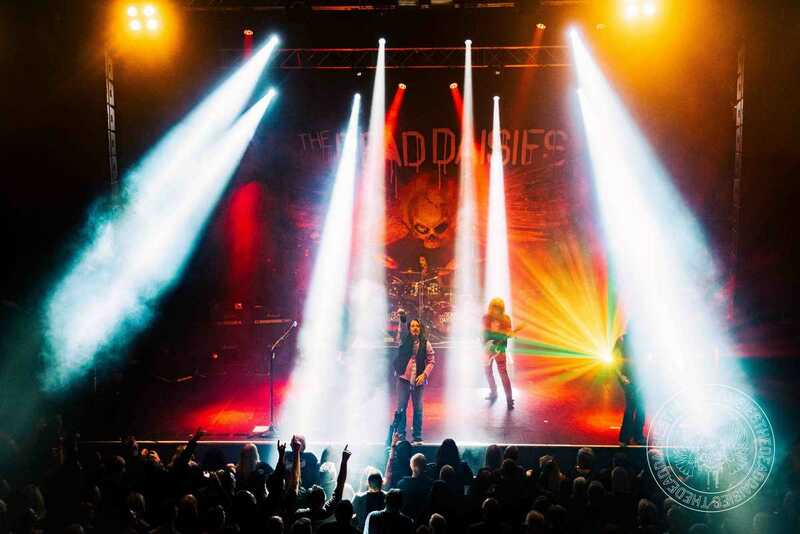 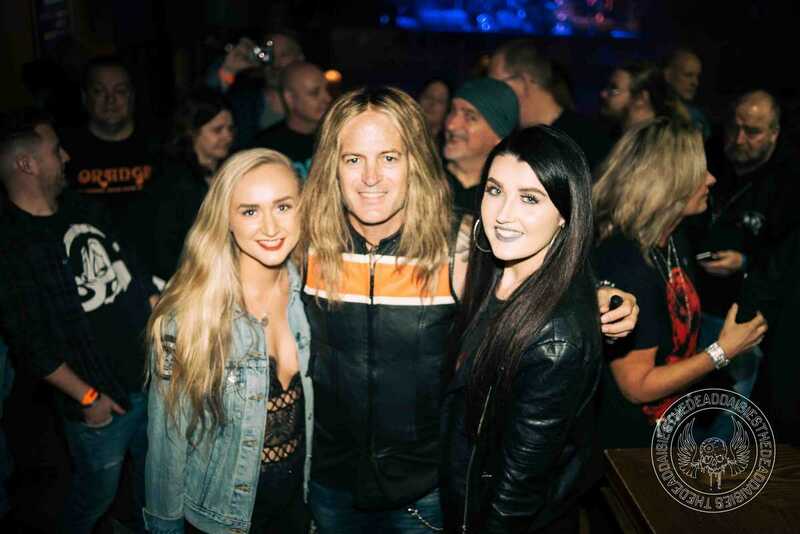 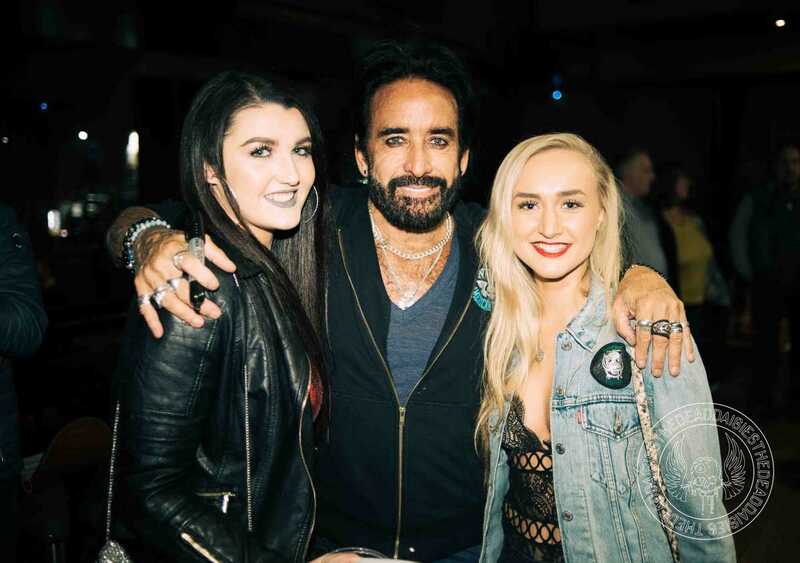 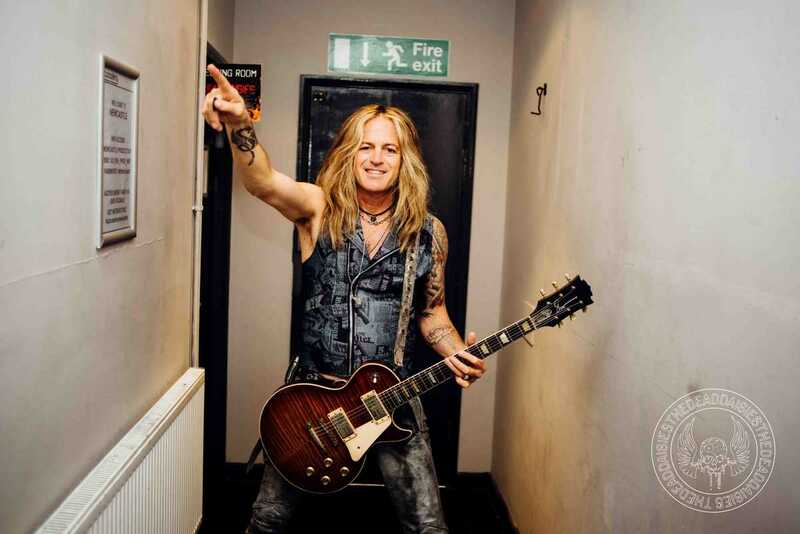 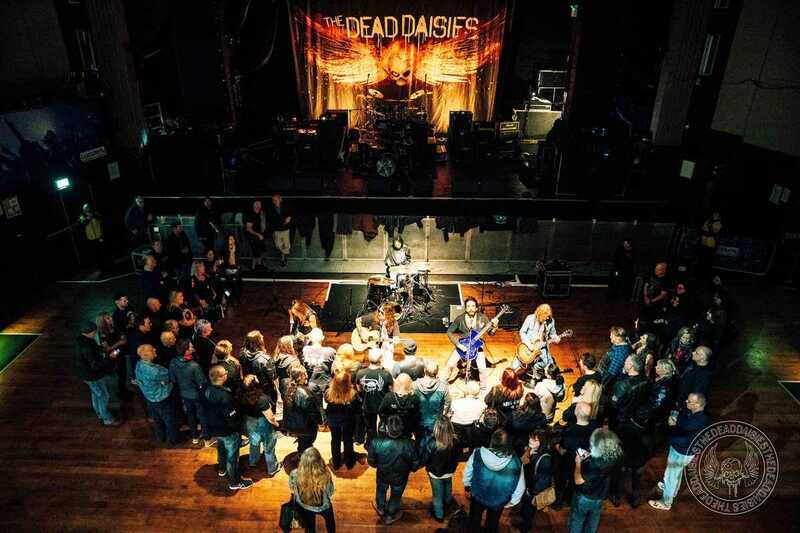 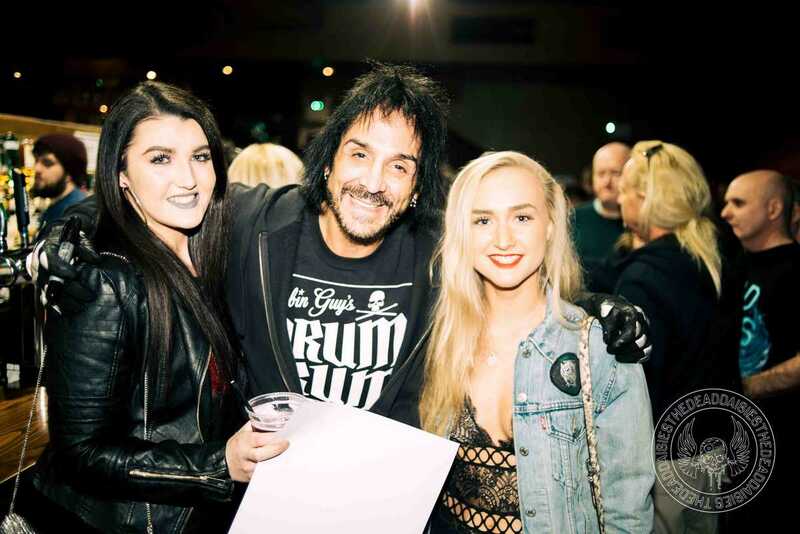 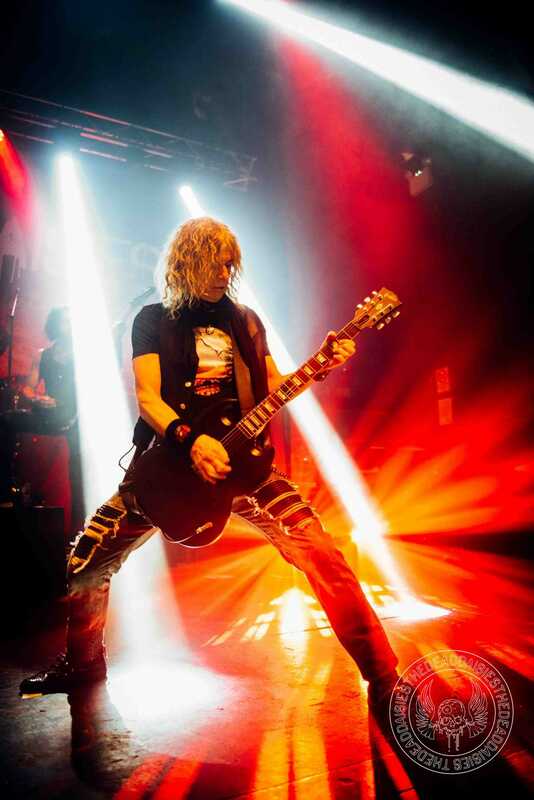 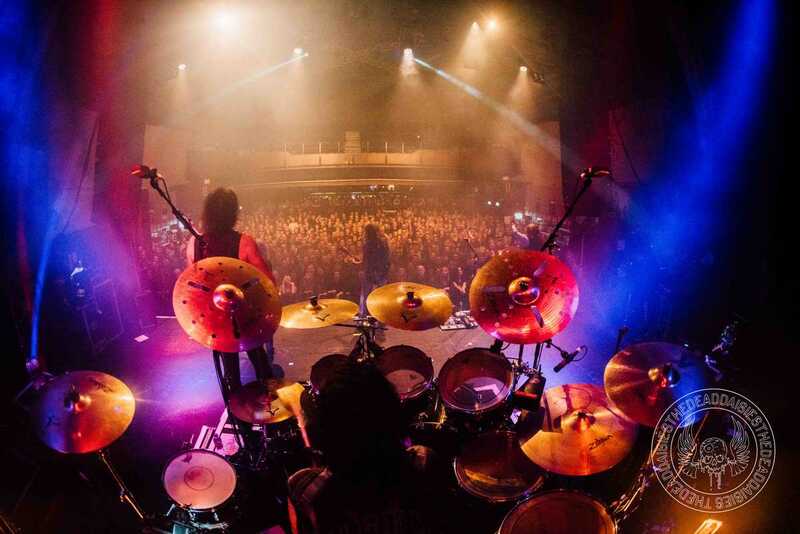 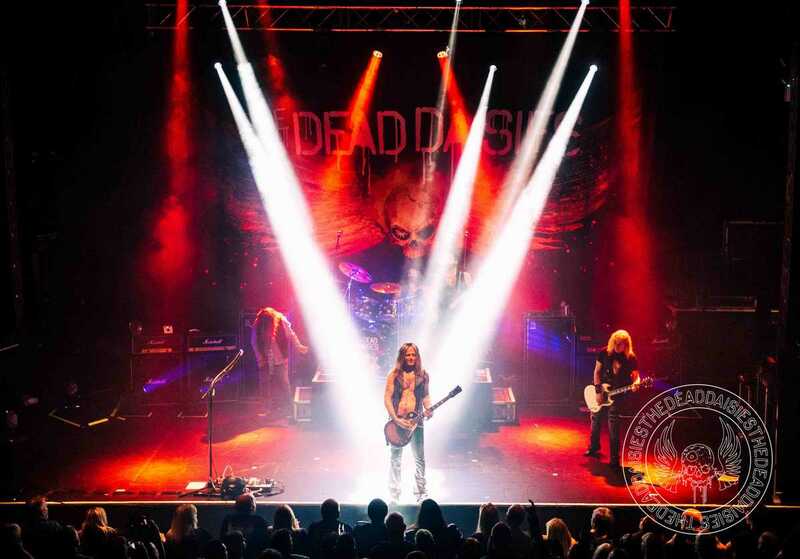 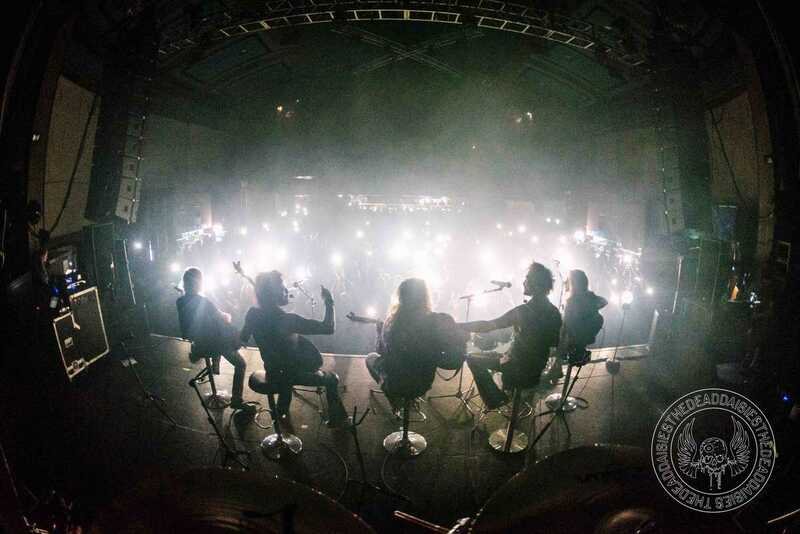 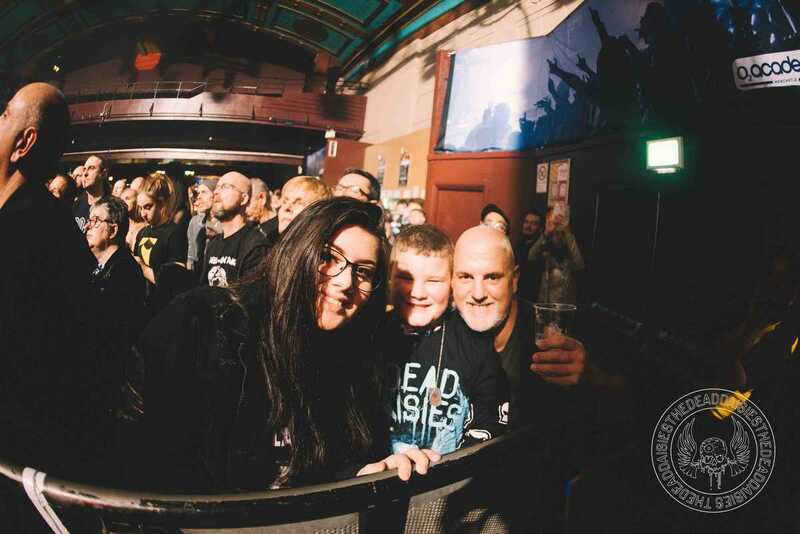 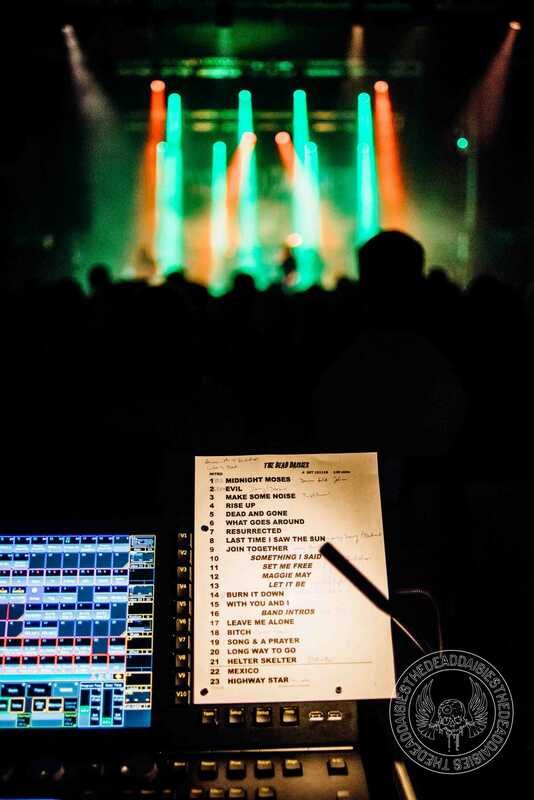 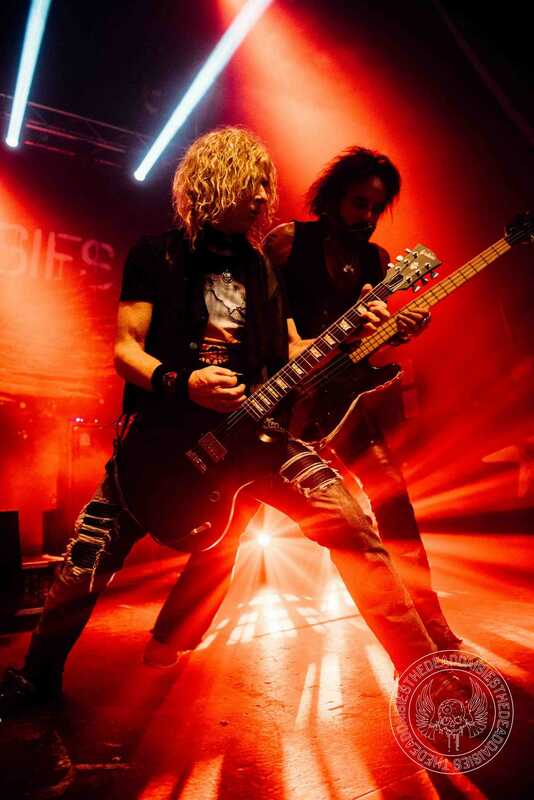 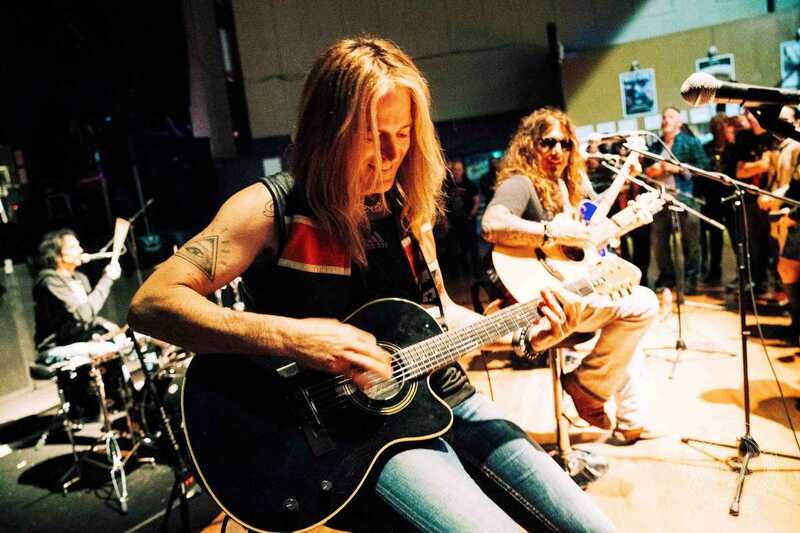 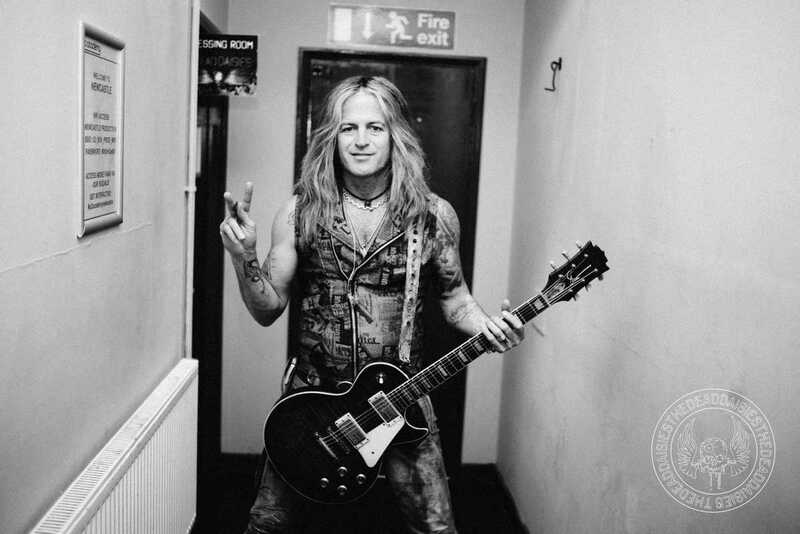 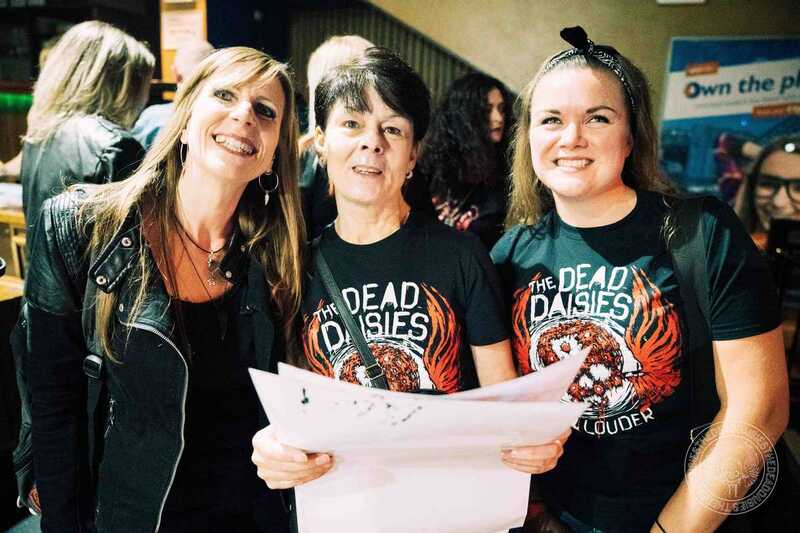 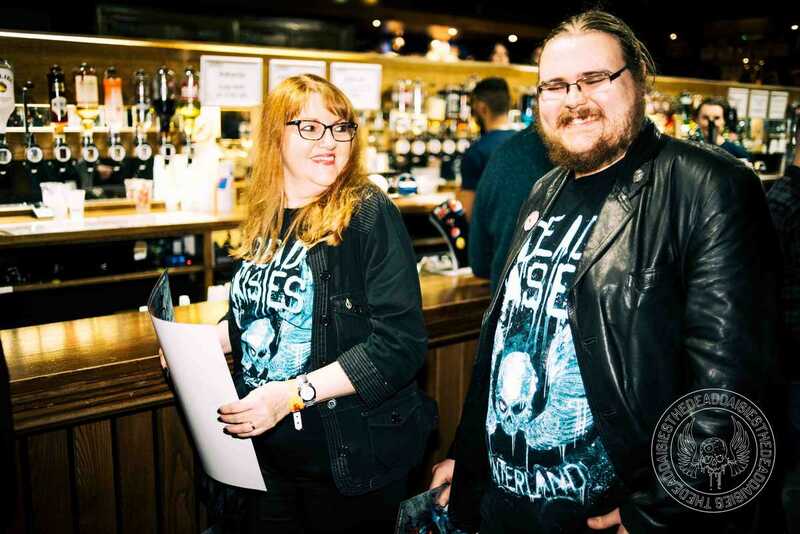 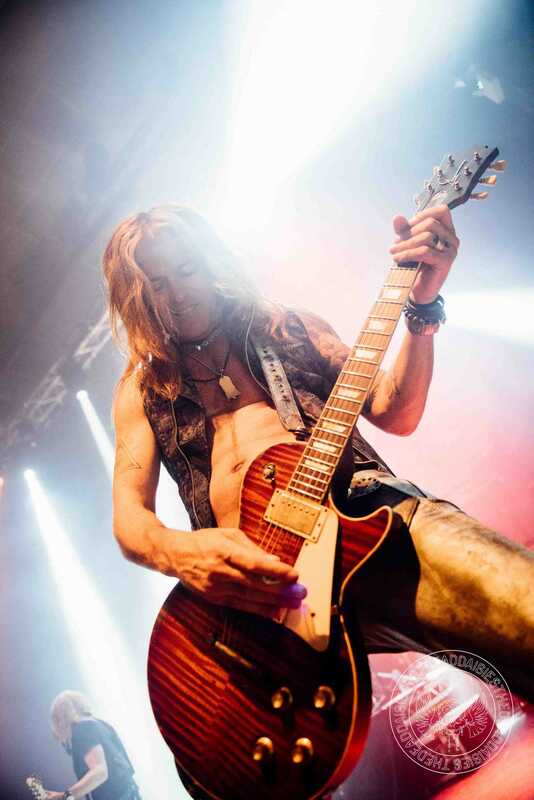 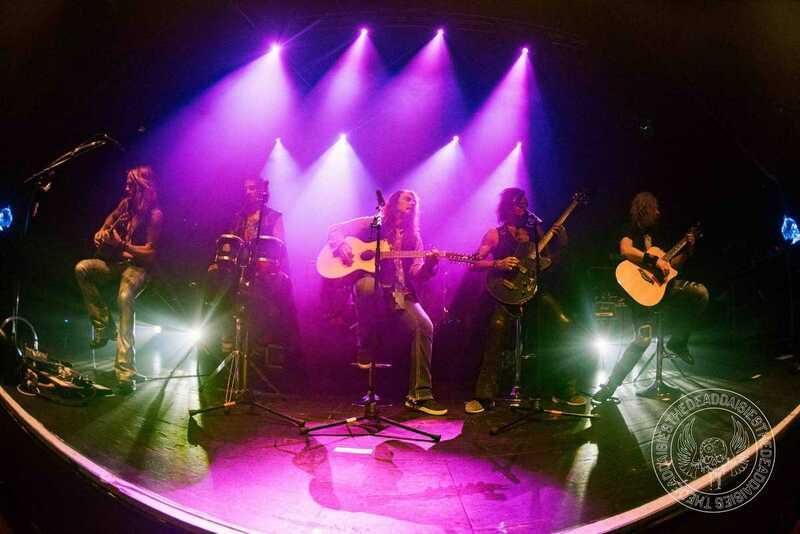 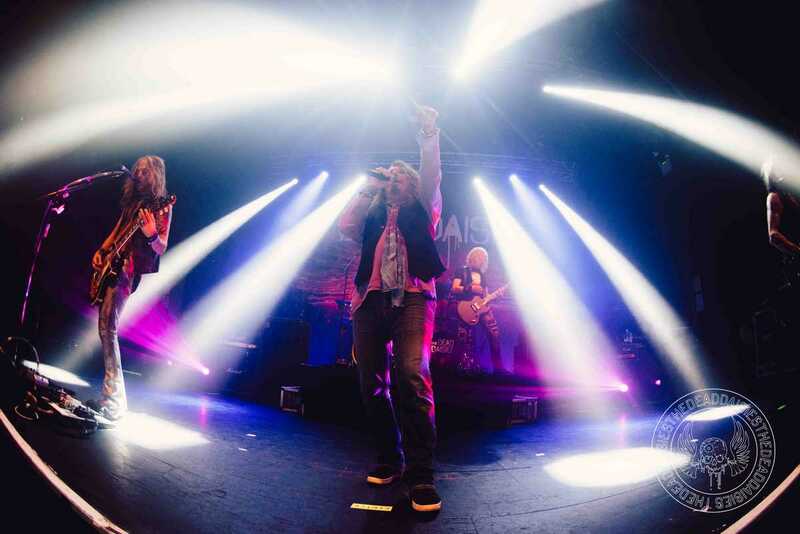 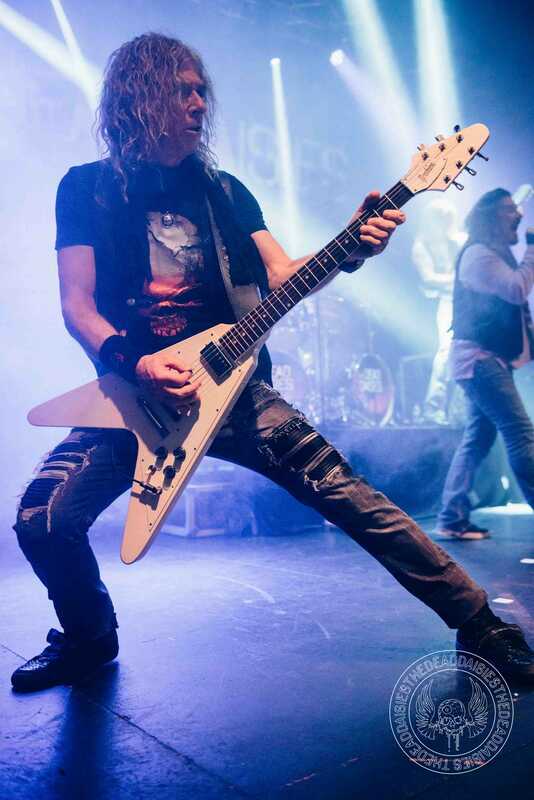 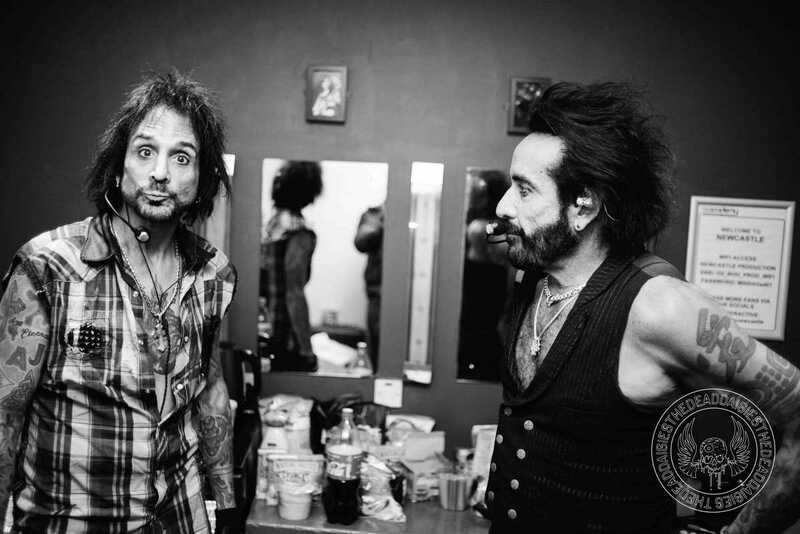 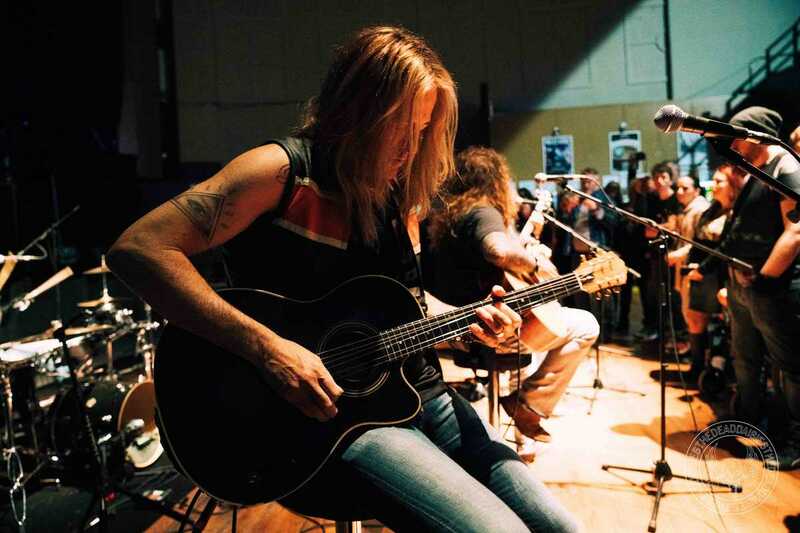 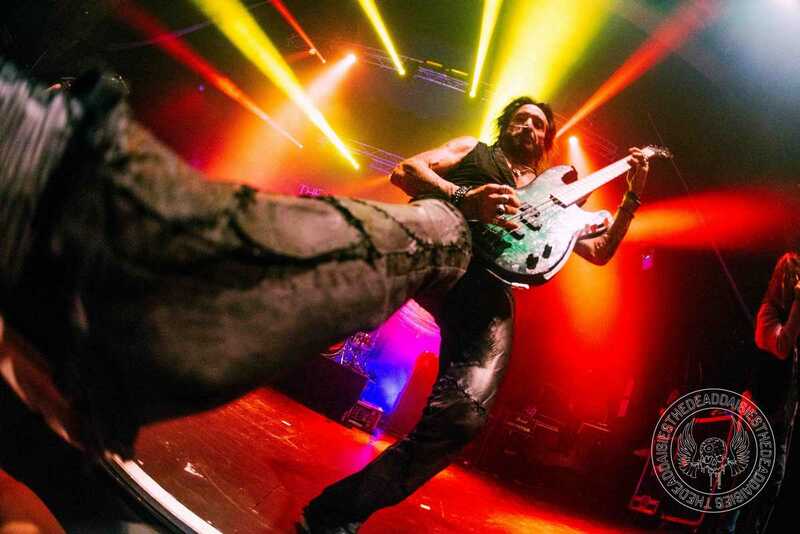 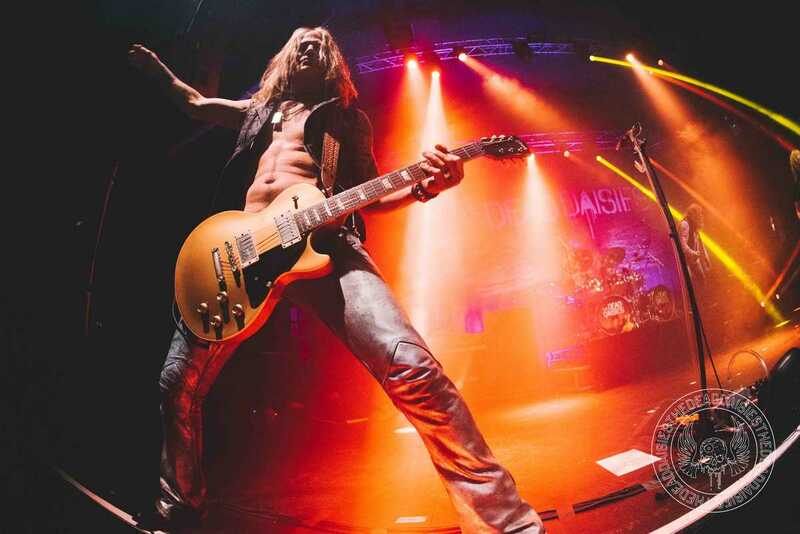 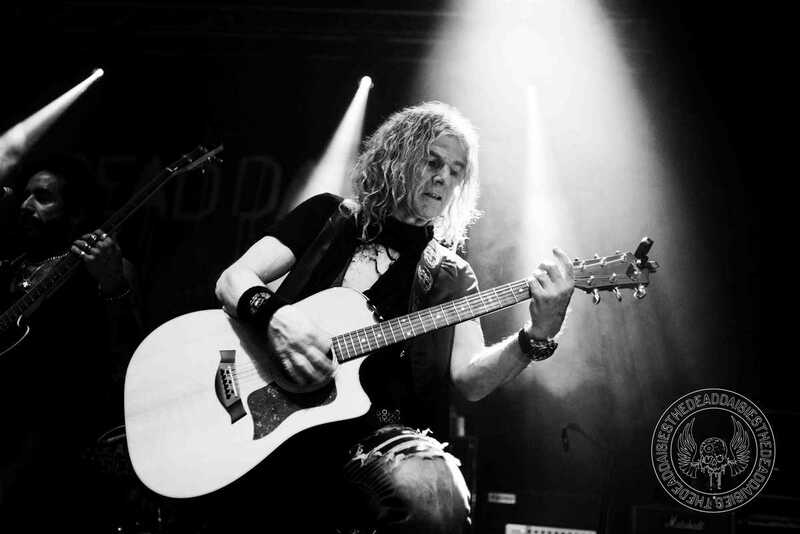 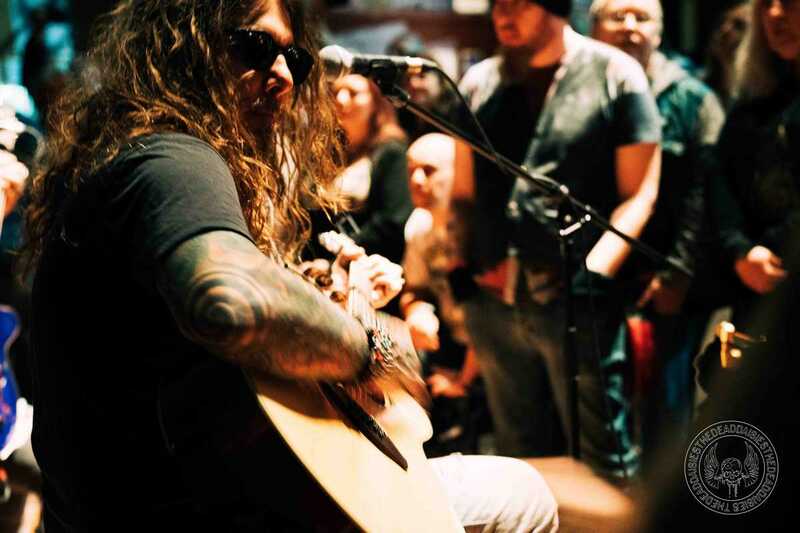 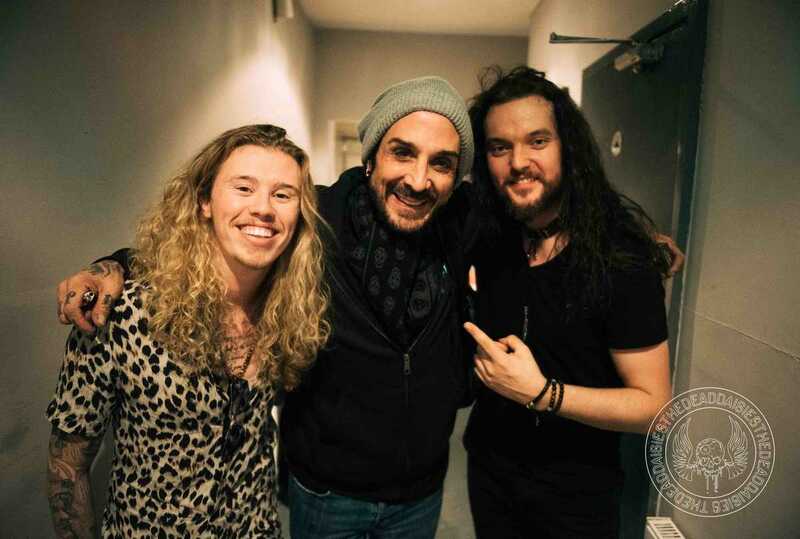 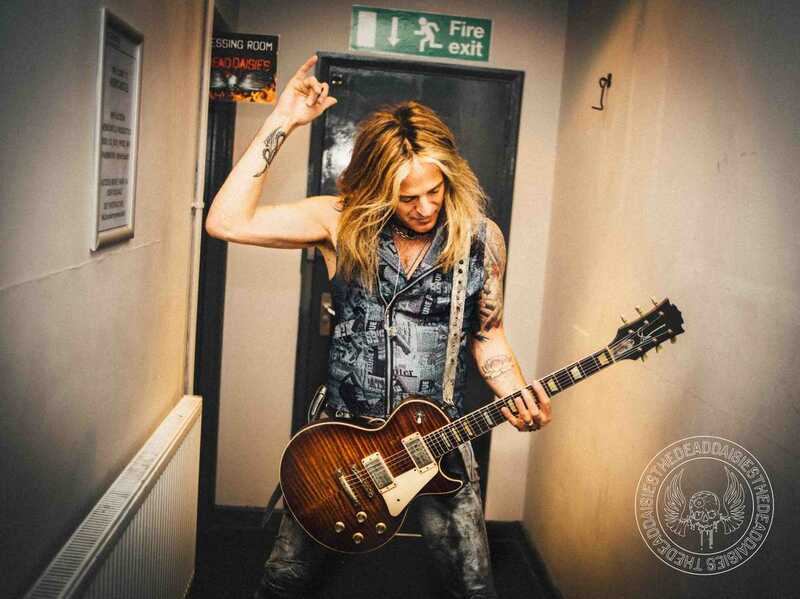 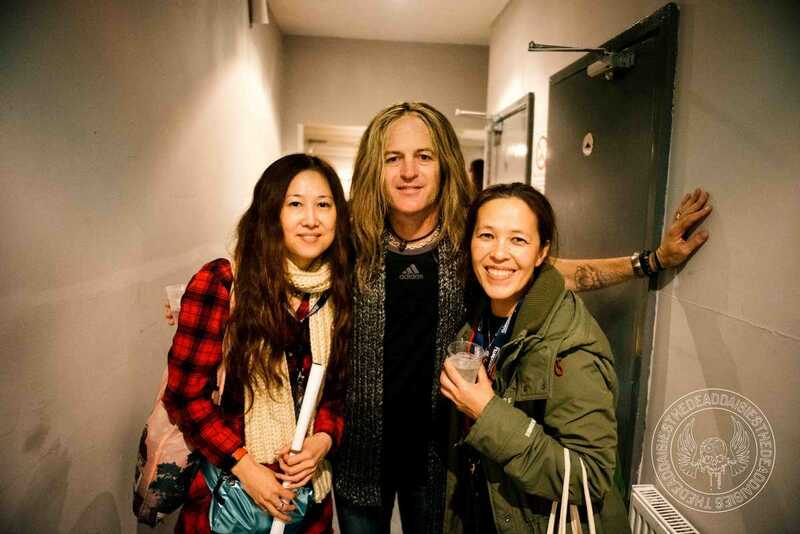 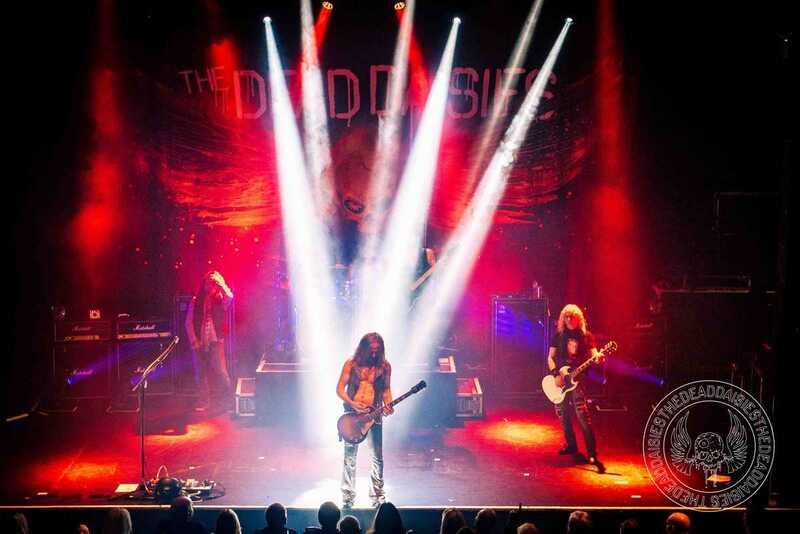 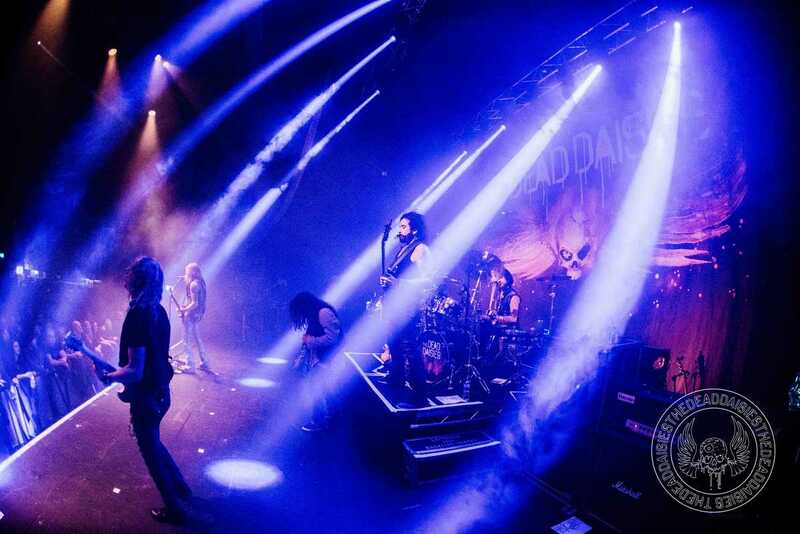 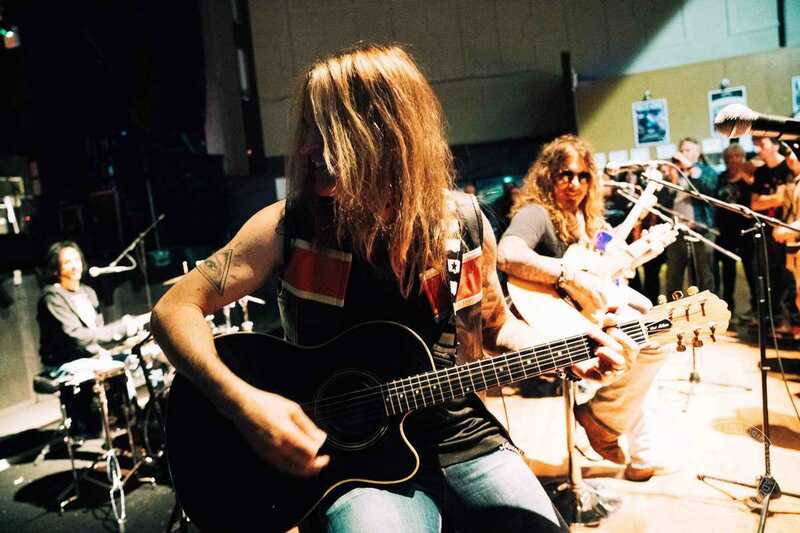 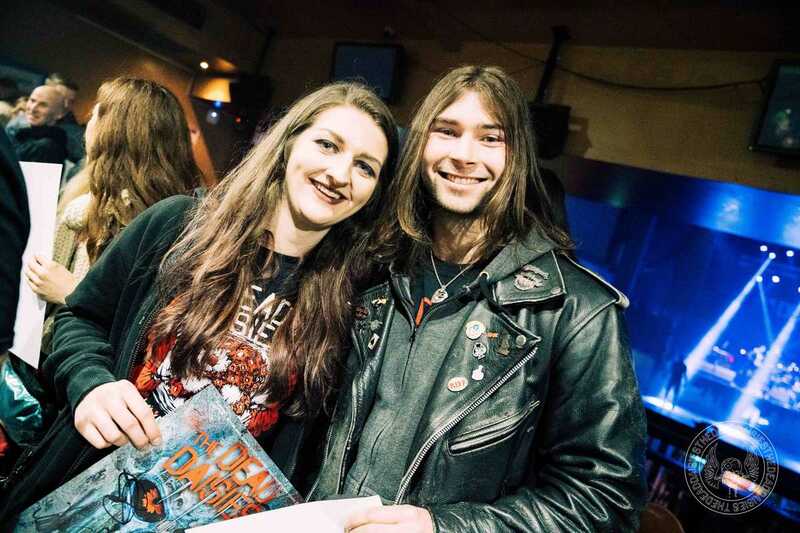 It has been exactly two years to the day since The Dead Daisies were last in Newcastle. 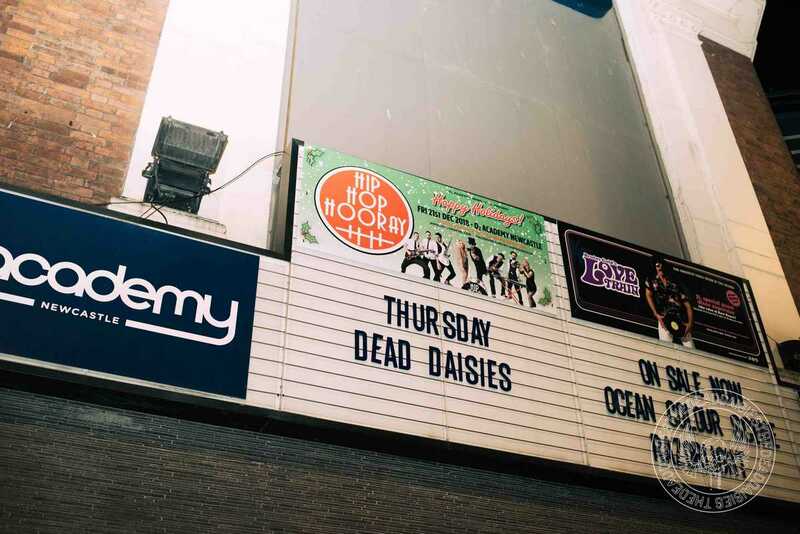 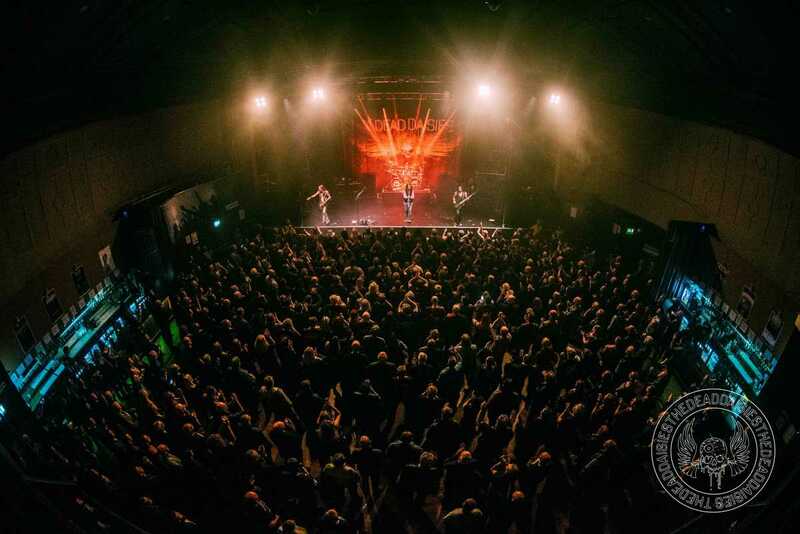 In 2016, they played the Riverside venue, and now, stepping up to the much bigger O2 Academy. 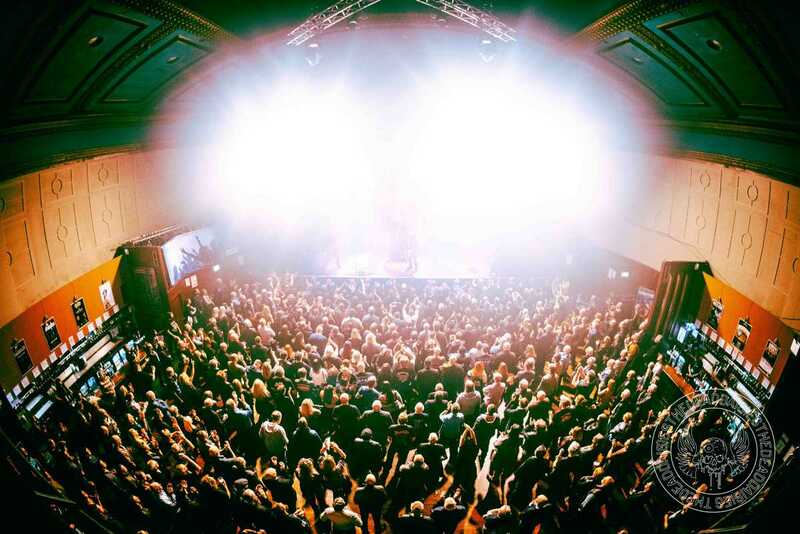 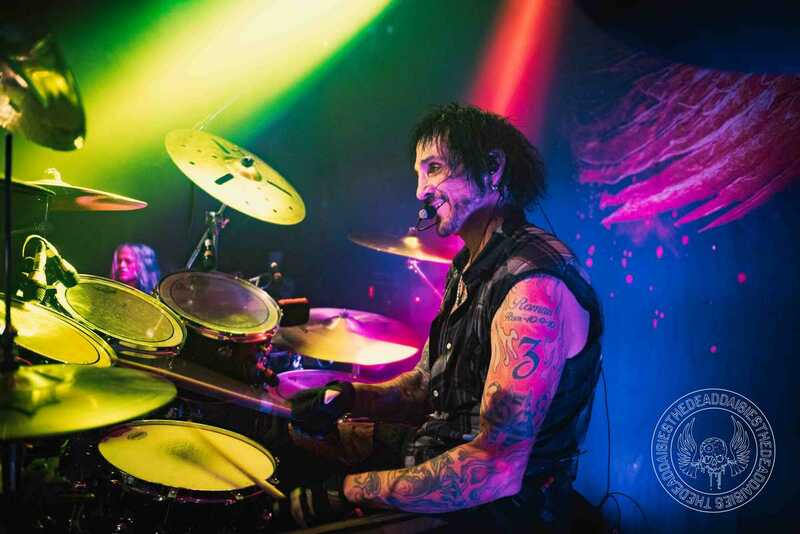 This is a great visible sign of how the band are taking the Rock N’ Roll Train upwards, especially in the UK. 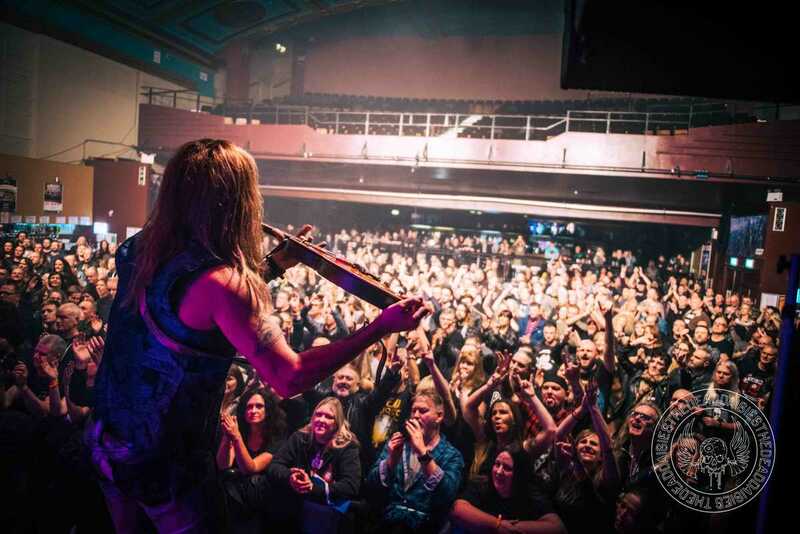 The Geordies (locals of Newcastle) are known for their boisterous and humorous behavior, and it was always present throughout both the DaisyLand performance as well as the main show later in the evening. 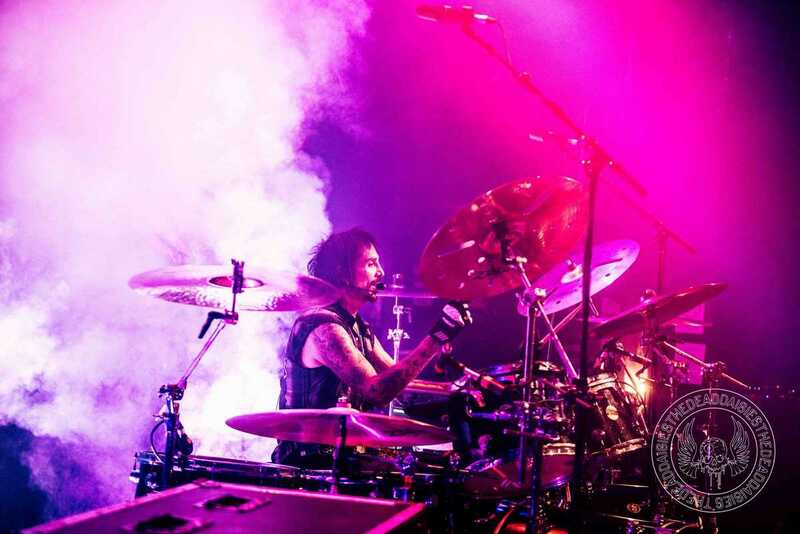 Deen has the perfect name to play this city. 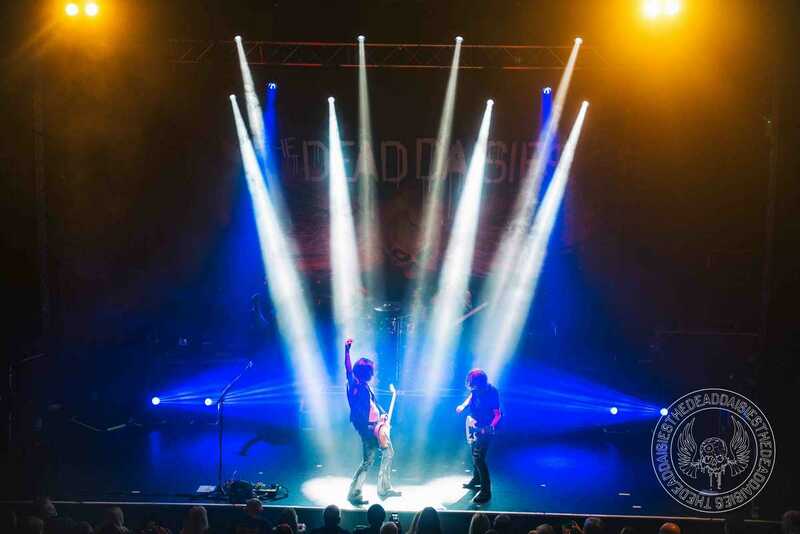 ‘Deeno, Deeno’ was shouted out in unison as they loved his vocal on ‘Maggie May’ in the DaisyLand performance. 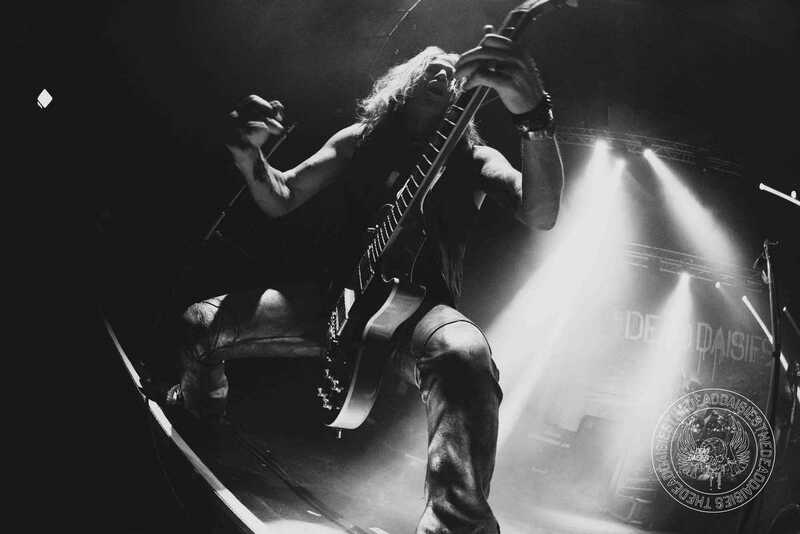 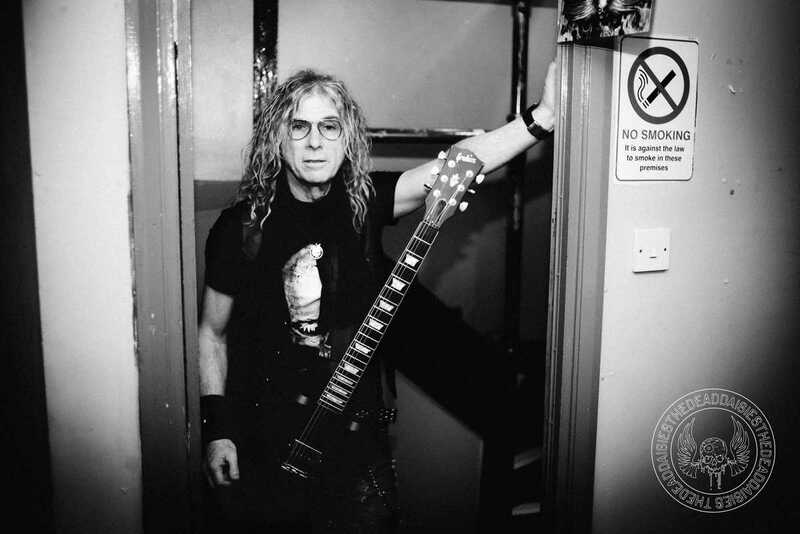 The other famous Deano that hails from Newcastle is of course Brian ‘Deano’ Johnson of AC/DC fame. 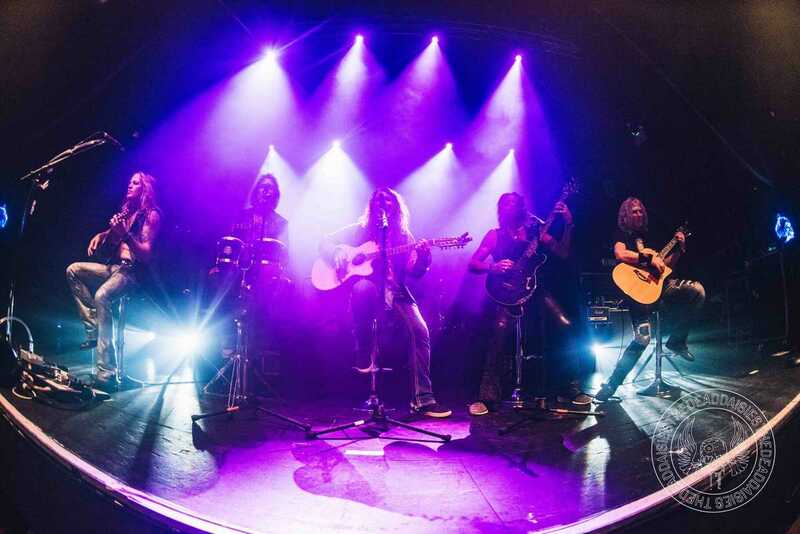 Opening the main show tonight was local personalities ‘Tygers of Pan Tang’ who in the early 80’s once had super guitarist and former bandmate of Marco Mendoza, John Sykes in their line-up. 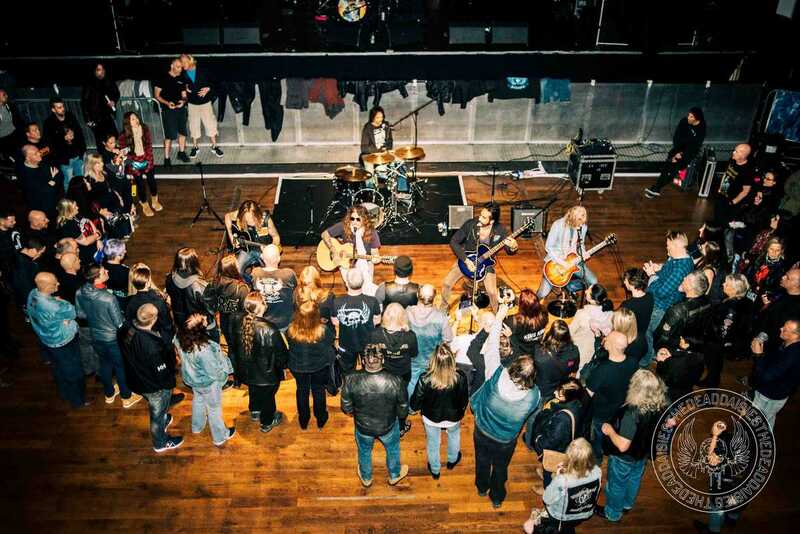 The crowd were suitably powered up when ‘Midnight Moses’ blasted out of the PA and John Corabi took to the stage to lead the charge on a powerful packed onslaught of great tracks including a few classics from Deep Purple, The Beatles and The Rolling Stones, which shows the bands influences steeped in 70’s British Rock. 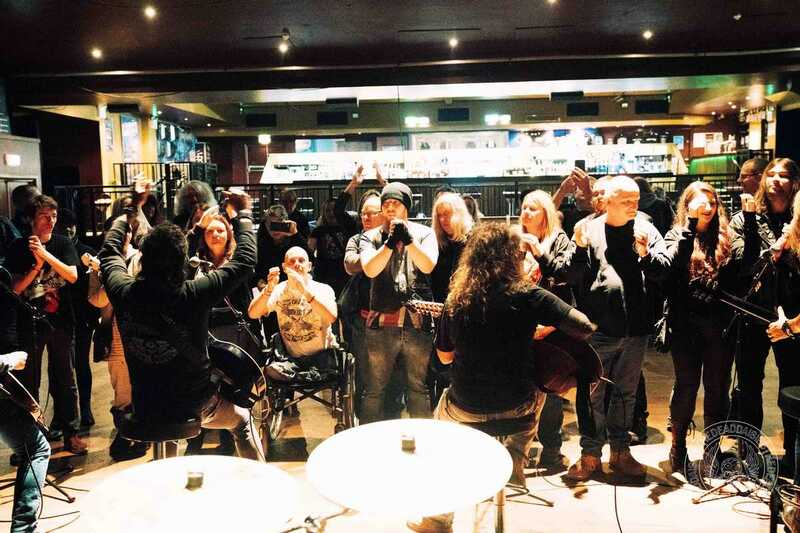 As the guitar chords rang out for the last time on a mild early winters evening in Newcastle, the local crowd left happy and suitably charged up. 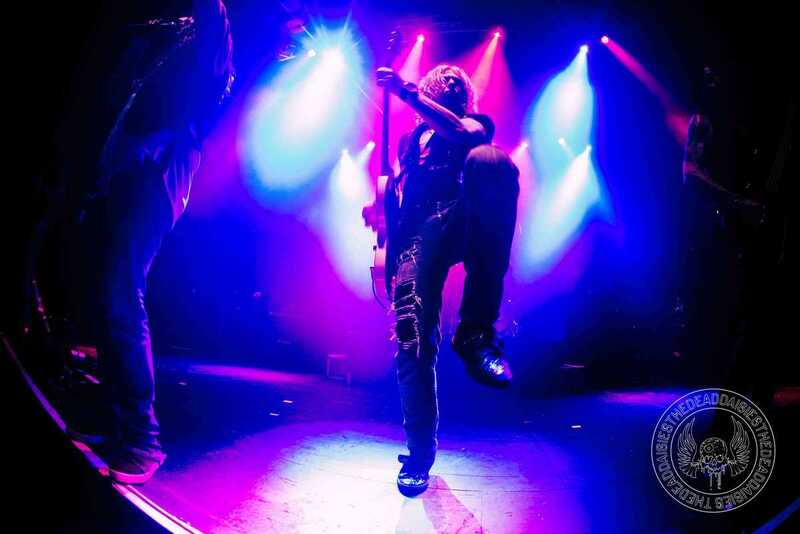 Check out the gallery here.